The first three girls took a lot of planning, but even with my letters, my clues, the tip-offs, only one detective seemed concerned. But they’ll take me seriously after Girl 4: They won’t have a choice. How long will it take them to piece everything together? I’ll give them everything they’ll need apart from the name. GIRL 4. She changes EVERYTHING. Detective Inspector January David has always put his professional before his private life, but now his two worlds clash horrifically as he visits his latest crime scene. Confronted with a ghostly figure suspended ten feet above a theatre stage, blood pouring from her face into a coffin below, January feels sure this gruesome execution scene is the work of an elusive serial killer. But Girl 4 is different: She is alive – barely. And January David recognises her. Three women from three different London suburbs, each murdered with elaborate and chilling precision. And as January stares at the latest body, he detects the killer’s hallmark. If he wants to save his own neck and ensure that there’s never a Girl 5, January must get inside the mind of a serial killer and beat him at his own game . . . The serial killer genre is a pretty well trod and, for the most part, tired place to be – so it’s so refreshing when something like ‘Girl 4′ comes along. 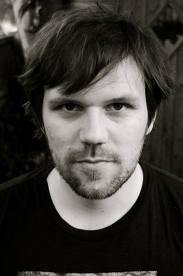 As with Steve Mosby’s ’50/50 Killer’, this debut by Will Carver presents a sinister and fresh spin on the sub-genre and invites us to join his series character on this, his debut investigation on the page. I realise I’m late to this (Girl 4 was published last year) but the buzz already surrounding it and the forthcoming second book to feature Detective Inspector January David (what a great name) ‘The Two’ forced me to pick it up and see what the fuss was all about – I am SO glad I did. 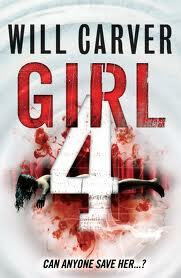 Well, glad but for one reason to be truthful, as ‘Girl 4’ is the book I wish I could have written and Will Carver writes in a way that had me from the first page and made this wannabe author feel like throwing my current project in the general direction of the circular filing cabinet at my feet. I loved January David as a character and was so pleased to read his name in the short teaser for ‘The Two’ at the back of ‘Girl 4’, he has a great surrounding cast and a mysterious past to go with it. A great haunted cop, with visions of crime scenes played out to him by ‘the smiling man’, like something ripped from the best of John Connolly’s work but made very much his own. I found the timeframe of the book really effective with its flashbacks to voices of earlier and (without wanting to spoil things) later victims intermixed with the voices of January, his wife to be, Audrey, and the killer, Eames. The scenes where January struggles to balance his homelife and upcoming marriage with the escalating investigation are well played with even some room for humour amongst some very sinister set pieces. And, it’s those theatrical set executions that really leave the mark on the reader as well as on the central character. I seriously hope this is the beginning of a very long series – it very much deserves to be. Seek out ‘Girl 4’ here. And you can pre-order ‘The Two’ here. Girl 4 definitely sounds like my cup of tea! Hmmm… I can see my TBR pile growing!